The costs of access codes for college courses are quickly becoming the new, dangerous face of the textbook monopoly according to a report released by the Student Public Interest Research Groups (Student PIRGs) Wednesday. American River College (ARC) was one of ten schools selected across the nation to participate in this study. Access codes are serial numbers that allow students to unlock an online learning suite. These platforms often contain digital books, pre-made homework assignments, quizzes, tests, educational videos and other multimedia content. Publishers use a variety of approaches to drive prices higher. 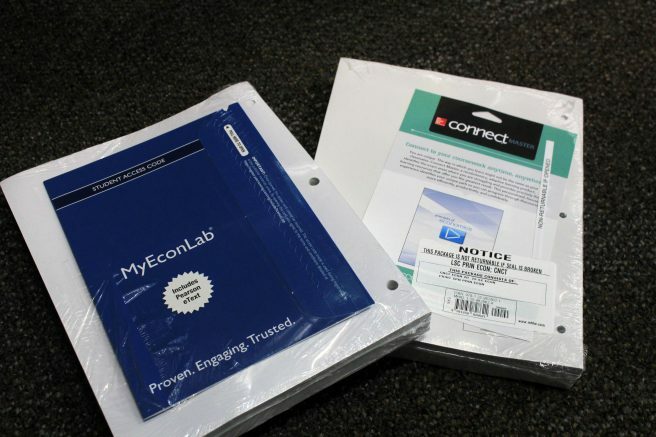 These include bundling course materials without providing an accessible option to purchase component materials separately, publishing unnecessarily costly editions and revoking digital books after an expiration date, according to the “Access Denied” report. ARC student Sophie Lawson said that she was unable to buy all of the materials for her math course. Student PIRGs found that two-thirds of students skipped buying textbooks because of cost and 94% of those students recognized that doing so would impact their grade in the course. Nearly 50% of students reported that textbook prices impact both which and how many courses they were able to take. First semester ARC student, Adam Poisner, bought a textbook for his Macroeconomics class that cost nearly $125 and is not pleased with the product. The lack of consumer choice and competition in the textbook market has allowed publishers to drive up prices to unsustainable levels. However, increased prices have allowed alternative pathways to emerge that help students succeed regardless. 1 Comment on "Access codes becoming new textbook monopoly"
The Student Senate needs to advocate for Open Educational Resources (OEP) at the Academic Senate. The professors are the ones who choose what materials to use. I spent $115 on a book with an access code for an 8 week Conversational Spanish course. How hard would/could it be for a department to create their own material. Same goes for math. Mathematics doesn’t change drastically, requiring new additions is idiotic.